Our popular temporary fencing solutions wouldn’t be the same without our range of top notch temp fence supplies and accessories designed to be seamlessly compatible with our range of temp fencing panels. When using temp fencing, it is crucial to ensure that all components of the system are of impeccable quality, as temporary fences are only as strong as their weakest link. Our couplers are designed to enable the easy attachment of implements such as handrails and bracing systems. We recognise that secure, sturdy attachment is necessary for the effectiveness of our temp fencing systems and the preservation of safety. 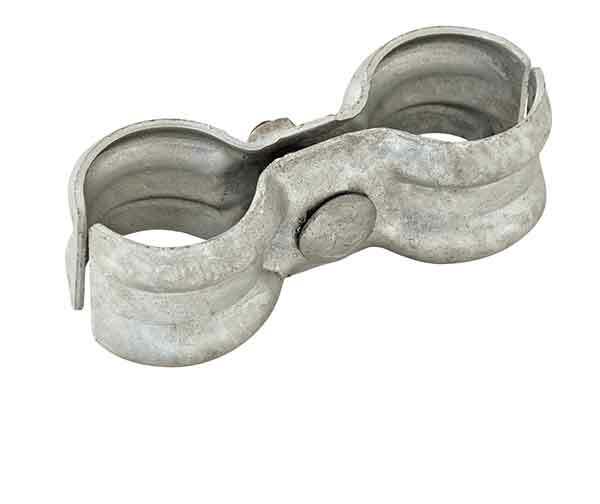 Hence, all our couplers are made of the highest quality galvanised materials and come with a high quality nut and bolt. Standard couplers are suitable for use in a wide range of situations and are highly compatible with most systems and set ups. Those working on a particularly challenging site would do well to opt for our heavy duty couplers, which are designed to withstand intense vibration, constant shocks, heavy winds and inclement weather.